Your personal home decor style says so much about you. 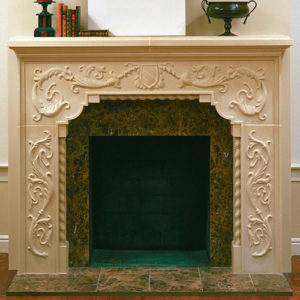 Let your aesthetic shine through with our Tuscan cast stone fireplace surround. Its simplistic beauty is unmatched and makes a perfect complement to any existing d̩cor. With clean lines and gentle rolling curves, it’s a veritable blank canvas just waiting for your personalized touch. Select from rustic colors like buff or a crisp light pop of cream. It can also be antiqued, faux finished or distressed to give it the patina of age.